EVANSVILLE, IN (WFIE) -As University of Southern Indiana Softball gets set for its Senior Day festivities this weekend, junior pitcher Jennifer Leonhardt (Louisville, Kentucky) has been named the Great Lakes Valley Conference Pitcher of the Week in an announcement by the league office Monday afternoon. The announcement marks the second straight week and the third time in four weeks that Leonhardt has been named the GLVC Pitcher of the Week. It’s the seventh time in her career that she has earned the honor. Leonhardt went 2-0 with a save, a 0.00 ERA, a .167 opponent batting average and 24 strikeouts as the Screaming Eagles went 4-0 with GLVC road sweeps over William Jewell College and Rockhurst University. Additionally, Leonhardt went 9-for-15 at the plate with four doubles, three RBI and three runs scored. 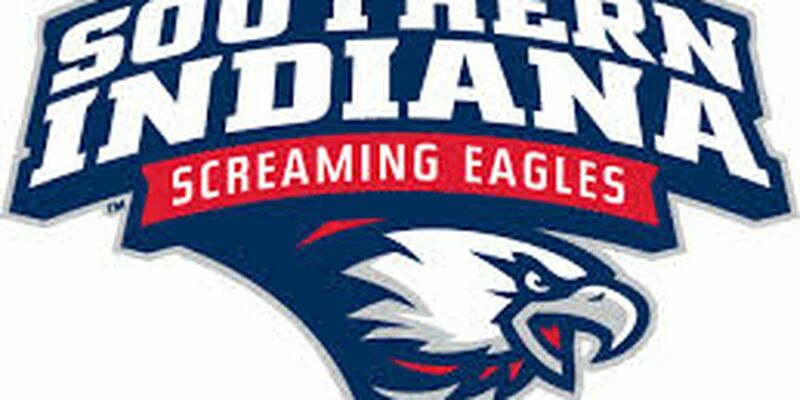 USI (25-13, 13-3 GLVC), which begins the week atop the GLVC standings after winning nine of its last 10 games, returns to action Tuesday at 6 p.m. when it hosts Kentucky Wesleyan College in a Midwest Region doubleheader at the USI Softball Field. The Eagles also host Missouri University of Science & Technology in a GLVC doubleheader Saturday at noon before finishing the week with a conference twinbill against Drury University Sunday at noon. Sunday is Senior Day for USI, which will honor its seniors—catcher Lindsey Barr (Whitesville, Kentucky), outfielder/pitcher Caitlyn Bradley (Forest, Indiana), second baseman Claire Johnson (Pittsboro, Indiana) and pitcher Haylee Smith (Florence, Kentucky)—following the games. All six games will be aired on the GLVC Sports Network, while live stats, video and radio coverage can be accessed at GoUSIEagles.com. • Eagles sweep Jewell, Rockhurst. USI Softball swept GLVC road doubleheaders against William Jewell and Rockhurst last weekend. • Last week’s leaders. USI hit .328 last week, with junior pitcher Jennifer Leonhardt pacing the Eagles at the plate with a .600 batting average, four doubles and three RBIs. Freshman third baseman Mary Bean hit .429 with a pair of doubles and two RBIs, while senior second baseman Claire Johnson and sophomore outfielder Alicia Webb posting respective batting averages of .417 and .357. • In the circle. Junior pitcher Jennifer Leonhardt paced the Eagles in the circle last week with a 2-0 record, a save, a 0.00 ERA, a .167 opponent batting average and 24 strikeouts. Senior outfielder/pitcher Caitlyn Bradley was 1-0 with a 0.00 ERA and a .000 opponent batting average, while senior pitcher Haylee Smith went 1-0. Drury. Entering the week, USI’s senior class has accounted for a 147-71 overall record and a 55-32 record in GLVC play; and is 14 wins shy of matching last year’s senior class for the most wins (161) in program history. • Leonhardt closing in on strikeout, win record. Leonhardt begins the week needing just 16 strikeouts match Brooke Harmening’s all-time school record of 642 and is just four wins shy of Harmening’s all-time school record for career victories (74). • Bean records first-career double, RBI. Bean recorded her first career collegiate double and RBI in the fifth inning of USI’s 11-5 game-two win over William Jewell Friday. She drove in the game-winning run in USI’s 4-3 game-two win over Rockhurst the following day when she hit an RBI-double in the fifth inning. • USI in the GLVC. The Eagles enter the week ranked first in the conference in team ERA (1.50) in GLVC-only games and are second in the conference in team batting average (.302) in league-only contests. Overall, USI is sixth in the league with a .300 opponent batting average and second with a 2.53 team ERA. • Leonhardt named GLVC Pitcher of the Week for third time. Leonhardt earned GLVC Pitcher of the Week for the second straight week and the third time in the last four weeks following her performance against William Jewell and Rockhurst. She also was named GLVC Pitcher of the Week for her efforts in USI’s wins over Quincy and Truman State last week as well as her performance in the Eagles’ wins over McKendree and Illinois Springfield four weeks ago. • Another scoreless streak. Leonhardt enters the week having not surrendered a run in the previous 37.0 innings of work. She has allowed runs in just two of her previous 73 innings of work inside the circle. On the year, Leonhardt has nine complete-game shutouts and two combined shutouts. She has recorded a shutout in nine of her last 10 starts and is currently sporting a 0.25 ERA in GLVC-only games. • Webb ties record. Sophomore outfielder Alicia Webb tied a school record for triples in a game (2) when she had back-to-back triples in the first and second innings of USI’s 7-0 game-one win over Illinois Springfield. • Johnson named GLVC Player of Week. Johnson was named the GLVC Player of the Week for her efforts in USI’s final week at The Spring Games. In addition to her .538 batting average, Johnson had a .613 on-base percentage and a 1.000 slugging percentage. She drew five walks and struck out just two times as the Eagles went 5-3. • NFCA Top 25. The University of Indianapolis (No. 17) is the only team from the GLVC that is in this week’s Top 25, while No. 6 Grand Valley State (GLIAC) and No. 20 Wayne State (GLIAC) are the only other Midwest Region teams inside the Top 25. Ashland (GLIAC) is receiving votes outside the Top 25. • Offensive leaders. Johnson leads the Eagles in batting average (.416), triples (5), home runs (4), on-base percentage (.514), runs scored (37) and RBIs (27). Leonhardt is hitting .388 with a team-best 12 sacrifices, while sophomore outfielder Allison Schubert and senior catcher Lindsey Barr each have four home runs. Bradley leads USI with nine doubles on the year. • Leonhardt leading Eagles in circle. Leonhardt leads the Eagles with a 15-4 record, four saves, a 1.21 ERA, a .177 opponent batting average and 158 strikeouts. She begins the week leading the GLVC in ERA, opponent batting average, wins, strikeouts and saves. • Hitting streaks. Leonhardt starts the week with a team-best five-game hitting streak. Johnson and senior shortstop Taylor Ricketts each have recorded a team-high eight-game hitting streak this year. –Allison Schubert is tied for 11th in home runs (17).